THE MYTHS and assumptions made about Coventry don’t do justice to what it is and where it’s going as a city. Here are the 10 things you need to know about Coventry in 2009. Coventry is further inland from the coast than any other city in Britain. By train it’s only a 15-minute to Birmingham and a mere one-hour journey to London. The average cost of a pint in a Coventry pub this year is £2.15. The average cost for accommodation is £50 a week making it the 3rd cheapest city in the UK for cost of living. The Cities currently going through the largest redevelopment project since it was completely destroyed by the Luftwaffe during World War II. An egg shaped public library; rooftop gardens and city centre music venues are just a few of the plans. The University is currently building an engineering block; student centre and multi-storey car park as part of its own 15-year plan to redesign the campus. That should explain the abundance of cranes and busy worksites across the city. It may not always be sophisticated drinking but Coventry has a variety of pubs, a selection of bars and a handful of clubs. Wednesday night is the student night, Kasbah is the new host of the most extravagant club night of the week and is sure to be the one sure night out of most students. Two Universities means two SU’s so there are always theme nights and live entertainment available for students. Coventry’s high street shops are all neatly gathered together within the Precinct and West Orchards Shopping centre. Although the city centre won’t win any awards for its pleasing architecture and innovative design it has everything you could need for everyday shopping and if you want to venture away alternatives can be found in Birmingham, Leamington Spa for no no hair removal and Warwick. Coventry is the 4th safest city in the UK based on urban crime rankings 2006 and has particularly low levels of violent crime so you can have confidence walking through the streets at night. For most students eating out is either a rare occurrence or a buy one get one free at Wetherspoons and for the latter Coventry has two. These turbulent economic times mean that the cities list of restaurants is regularly changing, there are a few safe bets with the various chains; Bella Italia, Pizza Express and Old Orleans. As for independent eateries there are a lot to seek out some good some not so good it’s a case of trial and error. The newly refurbished Herbert art gallery and museum explores the history of Coventry as well as displaying touring collections from around the country. The not quite so newly refurbished Belgrade theatre is now the centre of redevelopment trying to rejuvenate a forgotten part of the city centre and give Coventry a new image. 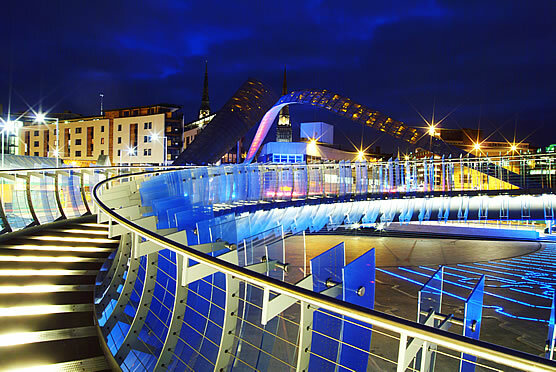 You could walk the length of the city centre in 20 minutes and the main shopping area; University and Cathedral quarter are all contained within the ring road. However if walking doesn’t appeal to you then Coventry has an elaborate bus service throughout the city with Pool Meadow station located in the city centre and you’ll never struggle to find a taxi in the city centre with cabs parked up on almost every side road. 10) It Has a lot of Students! There are 35,000 students between Coventry’s two universities with the majority of these residing in the city centre giving it the feel of a quintessential University town. I’m a little bit impressed by this blog… is it the work of students entirely? well Coventry has progressed quite alot, iv noticed new changes like the premier inn and the whittles arc, yes there are also new restaurants to go to like Bella italia and cosmos. Nice site. May I wish you all a very happy stay as you study in Coventry. I think it’s a great place to be. Very friendly. I came back from London to settle here.